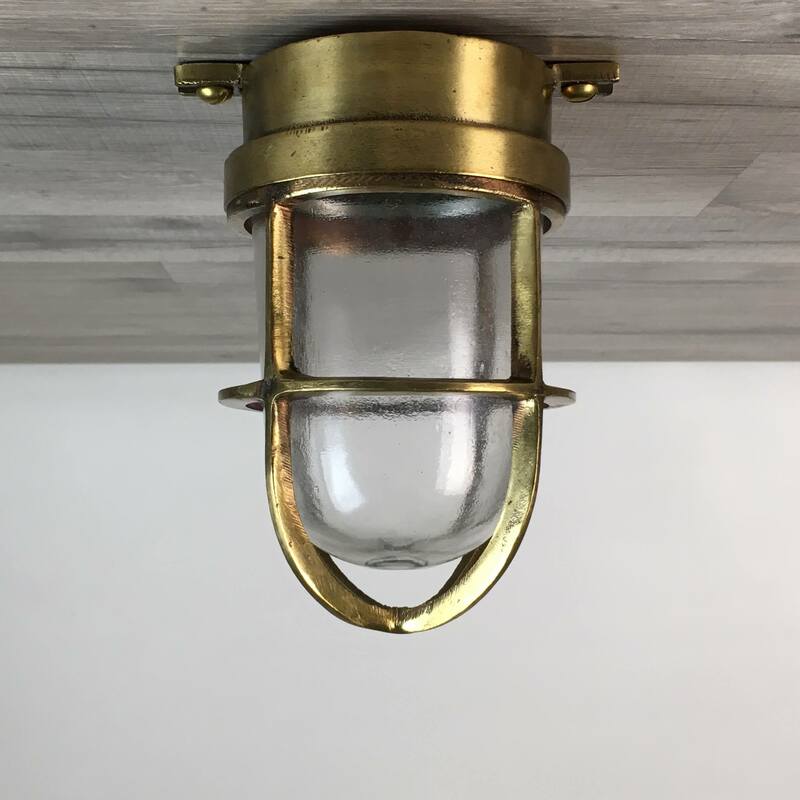 This pair salvaged cast brass bulkhead lights weigh just under 5 pounds. From the top of the wall mount to the bottom of the cage each light measures just over 10 inches long. The wall mount is 3 3/4 inches wide and has four mount holes. Each light will extend out from the wall by 6 inches. We have rewired these lights, including a ground wire. We have also installed a new Westinghouse UL-Listed bulb fixture that is rated for up to 250 volts. The new bulb holder takes a common screw in house bulb of 75 watts or less. 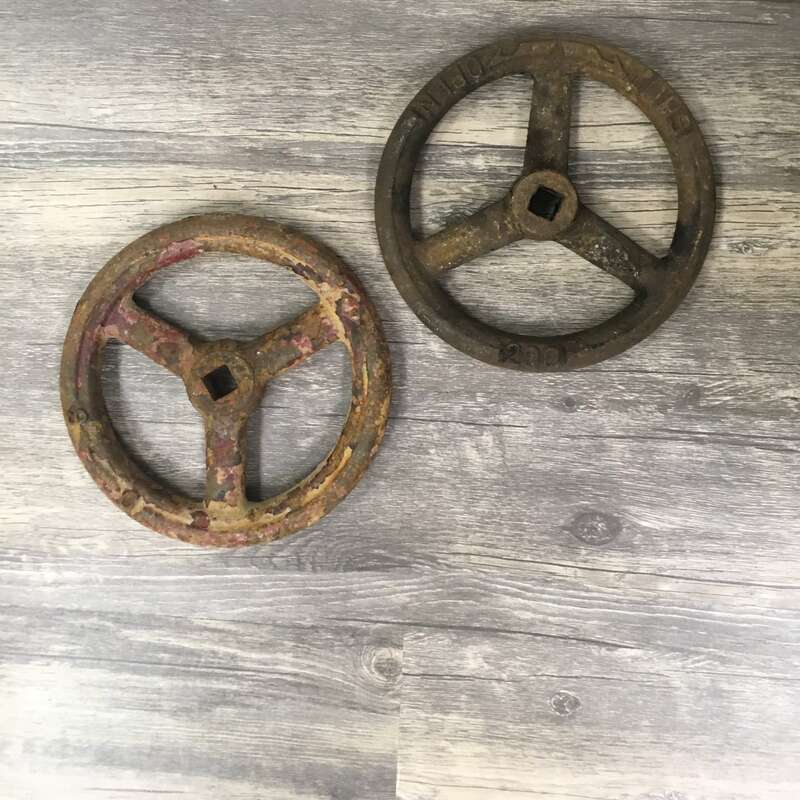 You will be shipped the pair salvaged cast brass bulkhead lights shown in the photos because, we take new photos for each listing!